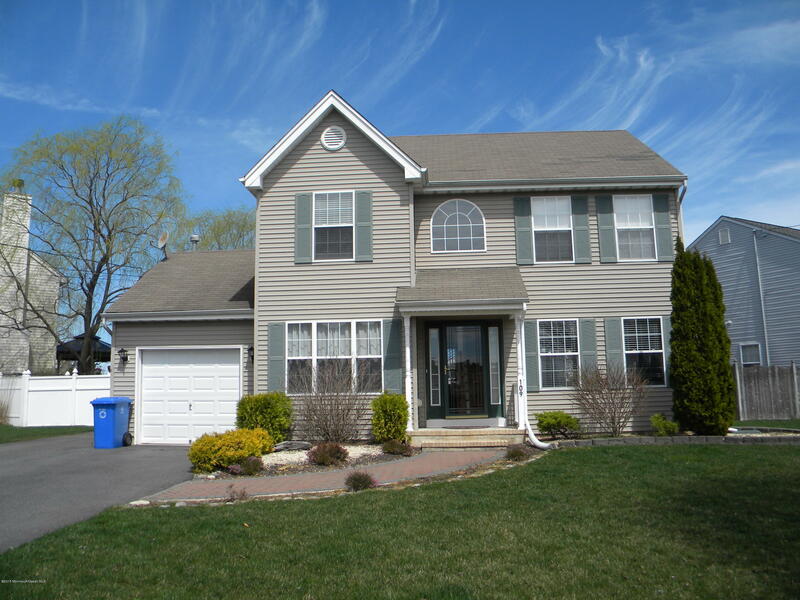 This charming 3 bedroom 2.5 bath Colonial is a real win for new owners. Beautiful hardwood floors flow throughout this home. Relax in the large living room in front of the cozy stone gas fireplace with blower. Spacious kitchen features a beverage center, breakfast nook and quality stainless steel appliances. The formal dining room also features hardwood flooring. The master bedroom features a walk in closet and private full bath with dual sinks. Maintenance free trexx deck with vinyl rail, completely fenced yard. Sprinklers front and back, one car insulated garage round out the features of this home. Book your private viewing today.